Summer is over, but how amazing are the breezy fall nights with hot cider and warm hugs. Even though in the summertime you tend not to use heat styling tools on your hair as much, the summer elements can take a tool. Salt water from the ocean, pulling your hair back into cute braids and festival ponytails and UVA/UVB rays can all have a part in drying out your hair and causing breakage. To get your hair ready for fall and pump some life back into your locks conditioning treatments are a must. This is one of my go to conditioning treatments. Whenever my hair is feeling dry and looking dull I use this conditioner twice a week for a month and it revives my locks. Apply after shampooing, comb through, and leave it in for 5 minutes. I like to do my treatments on days when I won’t be blow drying to help give it a rest and really let that conditioning treatment go to work. If you hair is feeling dry and brittle this is a great treatment to fix just that. A deep conditioning mask made up of 20 amino acids, lotus flower, baobab oil and more to replenish your thirsty hair. Massage into your scalp and hair and let it sit from 5-15 minutes to soften and repair hair. Repeat once a week until your hair feels and looks healthier. For extremely dry, tangled hair! Kerastase masque magistal repairs hair from the inside out putting proteins back into your hair and nourishment from the iris flower to help prevent the return of dry hair and breakage. 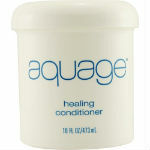 This deep conditioning treatment will make your hair more manageable, smooth your hair and add shine. Apply after cleansing your hair and leave on for 5-10 minutes. Use once to twice a week depending on the level of damage your hair is on a scale from 1-5. If damage is a 1-3 use once a week, level 4 and 5 twice a week. I’m always honest about my reviews and I have to say I’m not a fan of the packaging, but like your heard before, don’t judge a book by it’s cover. It’s a 10 products really are a miracle. This hair mask does so much to help repair hair I can’t name it all. It de-frizzes, improves your color, restores moisture balance and elasticity plus so much more! I discovered it’s a 10 products at the first salon I worked at on NYC many years ago and still use their products almost everyday. Master colorist Tiffanie Richards of Nunzio Saviano Salon in Manhattan can’t get enough of Carol’s Daughter. She has used it for years and swears by it. 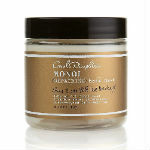 To heal dry hair and breakage this hair treatment is full of monoi oil, coconut oil, bamboo juice and B5 vitamins. Your hair is noticeably softer and healthier after one use. I can’t get enough of coconut oil and how amazing it is for your hair. If you love argan oil you need to give coconut oil and products containing coconut oil and try. This is a great treatment for all hair types. Its lightweight and will moisturize the driest of hair. It’s paraben free and safe to use on color treated hair and hair with keratin treatments. Amber extract deliver strengthening and conditioning properties while macadamia nut oil that smooths the hair, and mango butter to increase shine and makes it more manageable to comb through. And the smell is intoxicating! What an amazing hair mask for coarse unruly hair. If you’re having a problem with your hair being frizzy, this is a perfect hair treatment to fix just that. Evening primrose oil takes the frizz down and smooths out your locks. A great bonus of this deep conditioning mask is it helps protect the hair against humidity. There is still humidity lingering in these fall days. I have used this treatment for over 5 years and still love it. It’s a classic.